General Textual CommentsJesus’ teaching on prayer in this passage has many aspects. There is no need to look for an overall logic in the passage; just choose the aspect that touches you here and now. Verse 1: the disciples ask Jesus to teach them how to pray. Verses 2-4: the Lord’s prayer. As the introductory words indicate, the prayer was given not so much as a formula, but as a style of prayer. The following verses will help you identify what this style is. The prayer is Luke’s version, which is slightly different from the one we are accustomed to which comes mostly from Matthew 5:9-13. Verses 5-8: this is a parable. As in last week’s meditation, discover what is for you the significant moment of the story; it will lead you to the word God has for you in this parable. In verses 9 to 13, the parable is interpreted by Jesus, although as a teaching it can stand on its own. To get the full teaching in verses 9 and 10, you must take literally the word “always” repeated three times. There is a tendency to water it down, and as a result the message is lost. Enter into the movement of verses 11 and 13, and the dramatic style of the teaching. and when we are finished to ask us to teach them how we do it. Lord, many people today are learning to pray in traditions that are foreign to us – …TM, yoga, Zen meditation. asking to be taught how to pray. that your name will be held holy and your kingdom come. Lord, help us, when we pray for the coming of your kingdom, to ask for it in its entirety. and poor people will no longer be put to the test of survival. Lord, you have revealed yourself to us as friend, and that has been helpful. But it could lead us to become complacent, as if you owe us favours. not from friendship but because we persist in knocking at your door. where in exchange for our asking we receive your favours. searching in the dark for something that is already found. Lord, we sometimes think we have to leave our experience to get close to you. But Jesus taught us to start with what we have known. and if we asked them for an egg, no way would they hand us a scorpion. Lord, these people are good but their goodness cannot compare with yours. We are assembled here, not as a bunch of individuals, but as distinct members of a single body. This is something that we recall in a special way today when we read a story about the first discipies asking to be taught how to prayer together. We are the people who can call God our Father, who gather now to thank him and praise his name, who gather to ask him for our daily needs, and who ask him to forgive us as we forgive others. We need to pause now and recall our need of forgiveness for ourselves, and Jesus’s call to us to forgive others. This story of the disciples asking for a lesson in prayer methods is only found in Luke; in Matthew (6:9-13) the ‘Our Father’ given in the context of an instruction forming part of the Sermon on the Mount. So the first point to note is that in our memories we combine this occasion in Luke, with the text that is found Matthew. We see this common memory harmonising the texts in many introductions to the ‘Our Father’ in the liturgy. Second, the text here seems ‘simpler’ than that which known in the tradition or found in Matthew; and therefore cause we assume everything develops in a sequence from ‘simple’ to ‘complex’, it is often glibly stated that therefore this Lukan version is ‘more original’ or even ‘closer to the words of Jesus’. This often leads to attempts to derive the familiar fo from this one in Luke, and it is an endeavour that invariably calls for ever more subtle moves to seem convincing. The place to start is not with the written gospels — either Matthew or Luke but with the community of the church which preserved the memory of Jesus during those crucial early decades before papyrus and ink could freeze the shape of the memory. That Jesus taught some prayer that was distinctive in its approach to God is certain, as all the evidence coheres that there was a common Christian prayer formula and that it addressed God as ‘father’. That this was taught orally can be observed two ways. Firstly, the well-rounded cadences and doublets (e.g ‘thy kingdom come, thy will be done’) point to a text rounded off to allow for easy committal to memory. Secondly, the prayer has some minor variations in the various languages and in the manuscripts, and these variations show that oral transmission was the norm and that scribes followed their memories rather than their exemplars when copying Matthew. The most famous of these slight variations is the doxology (‘for the kingdom, the power and the glory are yours now and forever’) which was omitted in Latin. Moreover, we know that the prayer, in virtually the shape we know it, was part of the training of new Christians before the time of our gospels: we find it in the Didache (but with one or two tiny changes which prove that the scribe was neither copying from memory or from Matthew). So we can conclude that before 70 AD this prayer in our familiar form was being learned by heart as part of the basic formation of every Christian. Since it was such a basic element of the Didache (the training), it had to have a place in the kerygma (the preaching). Consequently, Matthew incorporated it into his most formal sermon exactly as it was recited in Greek in the churches in which he preached. Luke, however, opted to explain its importance with an origin story, and either knowing or recognising that it was well smoothed for memory based recitation, gave it a more archaic feel in his text. His construction — which has never been a reciting text anywhere — is therefore the first commentary on the prayer in so far as his text highlights what Luke saw as its most important features. He then takes the opportunity to present some other teaching on prayer and the Father’s answering of prayer. First, he has the parable of the friend at midnight (11:5-8) — which is only found in Luke — which contrasts God’s concern with humanity with what one could expect from even base motives. Second, he has the statements on how the Father will answer those who ask for their needs. The interesting difference here with Matthew (7:11) is that while in Matthew the Father gives good things to those who ask him, here the Father gives the Holy Spirit to those who ask him. This fits with Luke’s overarching theology that it is the Spirit who dwells in, gives life to, and directs the church. 1. This is a day when we really must learn from our history as the community founded on Jesus. 2. The written gospels that we treasure came into their written form in the last third of the first century. Mark was probably written in the late 60s, John in the 90s, and very probably Matthew and Luke sometime in between. There are many subtle arguments moving the dates a bit this way or bit that way, but this is a broad consensus, and does for our purposes. The key fact is that the written gospels are not only at least a generation after the first disciples – a generation being about 25 years – but they are in the different cultural setting of the Hellenistic cities rather than rural Palestine. 3. Now we can ask a key question: was it a book or books that kept the people together and gave them identity during these early years, or was it something else? The simplistic answer is to think of Christians as, to use an oft-repeated but wholly inappropriate phrase, ‘people of the book’: so the key to Christian identity is that they accept ‘The Bible’ or ‘The Gospels’ or some such set of writings. But Jesus is the only re­ligious leader in history that. never wrote a book or dictated a book or even ordered a book to be written (writing in sand is hardly a good example of a desire for written records!). 4. What kept the community in being was its regular practices as a community and its memories recalled in community. To be a Christian is to be a member of a group, the community of the People of God, not to be just one more individual who buys into a philosophy or a spirituality. 5. How can we find out about these key practices? We can see them in three ways: first,· we see them in a wonderful little guide for training new members which predates our written gospels and is given the rather off-putting title of The Training (the Didache). It is wonderful as it tells us directly what they had to do as a group. Second, we see these prac­tices referred to now and again in the letters that are in the New Testament, most of which predate our gospels. Third, we see strange echoes of the practices in our gospels – they are ‘strange echoes’ as they usually are presented as an event which the first hearers of gospels would immediately see as the ‘original event’ that is the background and authorisation for what they are actually doing. 6. So what were these key practices? The first, and most import­ant practice, was that they gathered each week as a group ­and the groups were probably no more than 25-50 people in size – and ate together the meal of the Lord. In the midst of a proper community meal, they thanked the Father for sending his Son to gather up the scattered flock of Israel and celebrated this re-gathering ‘Jesus-style’ by each getting his/her share in the one loaf and then each drinking from a single cup of blessing as they all had a single life-force surging through their veins. At this gathering they recalled the memory of Jesus and welcomed new members through baptism. This practice would become our Sunday Eucharist – the actual meal disappeared, and the memories were fixed by being written down. Over the centuries there have been other changes that have made the basic facts of eating and drinking less obvious, but one can still make out the pattern. 7. During the rest of the week they had fixed community prac­tices. Fasting on Wednesdays and Fridays, and giving to charity were the two material practices of prominence. We see this given an ‘echo’ in the gospels in scene when Jesus tells the disciples to fast but not show off that you are fasting, to give alms but not ostentatiously, and to pray but not where everyone will see you (Mt 6). There was also a practice that was carried out each day: three times each day they re­cited the prayer we call the ‘Our Father’. This was done prob­ably at morning, noon, and in the evening. It is this practice that is being given an origin point and’ authorisation’ in the words of Jesus himself, and a specific purpose, in today’s gospel reading. 8. There is a strange aspect to this prayer that we usually miss when we say it during our Eucharists. It is the prayer of a group even when someone says it privately: it is a prayer to ‘Our Father, … give us this day … forgive us our trespasses as we forgive those who trespass against us, and lead us not, but deliver us from .. .’ What this tells us is that in those very first generations even when the group had not gathered together, the individuals had such a common sense of being part of the People of God, that they saw the fact that they were all pray­ing at the same time (even if the individuals were physically apart) meant that they were offering a single group prayer. At morning, noon, and evening, even when alone, the Christians prayed as the single body of Christ to their Father. 9. This need for prayer at fixed times, and indeed to recite the Our Father, continued as part of the Liturgy of the Hours but this (with odd exceptions) is now something confined to ‘professional religious people.’ (You could show a volume of the Breviary as a visual aid at this point.) And, in any case, this is a far too cumbersome prayer for someone racing to get out in the morning, get the kids out, and get everything else done. However, saying the ‘Our Father’ – the bedrock of reg­ular Christian prayer – is not too difficult: it does not require formally sitting or standing, it does not need so much time that a household needs to be ordered around the prayer, and it does not need a book. 10. Many Christians have today lost three precious understand­ings. First, Christians have, to a large extent, lost the sense of the importance of formal prayer at regular times. Yet all human experience of religion – just look at the regular prayer times in Islam – not to mention our experience from the very first days of the church shows us that regular formal prayer is essential to preserve our sense of God. Second, Christians have often lost the sense that when we pray as Christians it is not my prayer and your prayer, but our prayer in Jesus. The sense of a common time uniting separated people is some­thing that used to be reinforced by the Angelus Bell just as in Islam it is done by the voice of the muezzin, but we need to recall that when we prayer simultaneously we are praying as one body and I pray at this time to join my prayer with that of the body. Praying simultaneously is a non-computer-based ‘virtual community’. Third, to be a Christian is to be a disciple, a disciple is one who learns over time and takes on the prac­tices, the discipline, of the master. The master prayed regu­larly – as we hear about Jesus in today’s gospel- so must we. 11.A recovery of the practice of everyone saying the ‘Our Father’ morning, noon, and evening is the basis of a renewal programme for the whole church, that does not need a single meeting or handbook to get it started. Staying with the important theme of prayer, this week’s extract from Luke brings the teaching on prayer that accompanied the giving of the Our Father. In Luke, Jesus teaches this prayer because the disciples have asked for his help. The form of the prayer is the short one, as opposed to the longer version in Matthew which was adopted by the church as the version for use in the liturgy. In its short form we see even more clearly how this simple prayer has all that we need. We praise God as Father, we acknowledge that we want what he wants and that we trust him to look after us. We also recognise our need for forgiveness and our willingness to forgive. Finally we ask that in the life of faith we will not have to endure anything that would cause us to lose that faith. In what follows, Jesus uses the images of the unwilling friend and the caring parent to make us think about the relationship with God that should lie behind our prayer. God is the loving Father and in giving us the Holy Spirit he is holding back nothing. Today’s gospel is about prayer and in it Jesus encourages his followers to persevere in prayer and not to lose heart. 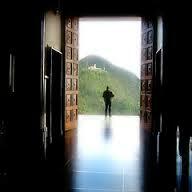 The unanswered request and the door that remains shut are not unusual experiences for people who pray. Indeed we can be left wondering why our prayers are not answered. Is it because we lack faith or worse still because of our sins? At such times we need to remember that Christian prayer is not about magic nor is it an elaborate heavenly lottery. Being baptised means that we share in the dying and rising of Christ, not just once but many times on our way home to the Father. Prayer teaches us about what is really important and, while it does not always take away our pain, through it we can come to understand a little better how and where God is at work in our lives. Often I pray to St Anthony and I find what I was looking for. I can’t understand why but it brings up the question of praying for what we want and need. People pray hard for an intention; some pray for ages and are answered, some are not. We often pray for what may be outside God’s control: that someone may give up drink, when the person may not want to; that children will be kept safe on the roads, but they are killed or injured with the careless and dangerous driving of someone else, maybe under addictive influence. We are encouraged always to pray with hope and persistence, believing that we always get something. In the asking is the receiving, and we never leave prayer worse off than when we began. For any time we give to prayer, we get something. We are transformed. St Ignatius speaks of the effect of prayer – an increase in faith, hope and love. We may not get the specific intention but we always get the Holy Spirit. I have never left prayer the poorer than when I began. In the knocking at the door itself something is opened. In asking and seeking we get something. The first gift of prayer is the love of God. Other gifts follow. Prayer increases our trust in God, that he wants our good and is with us in love. So we pray for what we need and then leave the prayer with God, to be answered as he can. This is one of the greatest faiths of all. In today’s reading from Luke’s Gospel, the disciples ask Jesus to teach them how to pray. What is important to grasp is not the words of the prayer (Luke’s version of the Lord’s Prayer is shorter and more concise than Matthew’s version), but the attitude of prayer Jesus teaches. To pray is not to impose our will on God but to ask God to make us open to his will; in other words, we pray not to change God's mind but for God to change ours. acknowledging the goodness and love of God: Jesus teaches us to call God “Father.” God is not the cosmic tyrant out of whom gifts have to be extracted through humiliating pleading; God is the loving eternal Parent who delights in providing for his children's needs. asking that we may do God’s will: Prayer worthy of God asks for the grace to do the work he calls us to do (forgiveness, reconciliation, justice), to become the people he calls us to become (brothers and sisters under our heavenly Father). voicing our hope in the providence of God: We come before God knowing that, just as parents will provide for their children a good friend will aid another friend, God will hear our prayers and provide us with what we need. Even if it seems as if our prayers are unanswered, we live with the confident faith that the God hears and responds in ways that assure us of his presence in our lives. We often approach prayer as if we are trying to wring gifts from an unwilling God; in fact, we come before a God who knows our needs better than we do ourselves. Authentic prayer is not a formula or ritual but an awareness of God's presence in our lives, of God’s hand as sustainer and nurturer of creation, of God’s love giving breath to every moment of our existence. Prayer is to realize the connection between the compassion of God and the love we experience in our lives, between God’s forgiveness and the forgiveness we extend, between the holy creativity of God and the work we do for our daily bread. Barbara Brown Taylor is a writer, college professor and Episcopal minister, as well as a wife, mother and grandmother. How does prayer fit into her busy and varied life? “When people ask me about my prayer life, I describe hanging laundry on the line. After a day of too much information about almost everything, there is such blessed relief in the weight of wet clothes, causing the wicker basket to creak as I carry it out to the clothesline. Every time I bend down to shake loose a piece of laundry, I smell the grass. I smell the sun. Above all, I smell clean laundry. This is something concrete that I have accomplished, a rarity in my brainy life of largely abstract accomplishments. “Most of my laundry belongs to my husband, Ed, who can go through more clothes in a week than most toddlers. Hanging his laundry on the line becomes a labor of love. I hang each T-shirt like a prayer flag, shaking it first to get the wrinkles out and then pinning it to the line with two wooden clothespins. Even the clothespins give me pleasure. I add a prayer for the trees from which these clothespins came, along with the Penley Corporation of West Paris, Maine, which is still willing to make them from wood instead of colored plastic. To truly understand the words of Jesus’ prayer in today’s Gospel is to approach prayer as a connection between the compassion of God and the love we experience in our lives, between God’s forgiveness and the forgiveness we extend, between the holy creativity of God and the work of providing for our daily bread. Prayer is to live our lives conscious of God’s grace in every moment, an awareness of God’s love in our midst in both the bread of the Eucharist and the lunch we make for our families, in both the waters of Baptism and the never-ending laundry, in both our quiet moments of reflection and the rambunctious joy of playing with our kids. May we become people of prayer: to embrace the spirit and attitude of prayer that actively seeks out and gratefully celebrates God’s presence in all things. The first reading introduces us to Abraham as he intercedes with God for the city of Sodom and Gomorrah. What strikes us immediately is the tone of the conversation between Abraham and God. It certainly implies a relationship. Firstly, we see Abraham pleading not for himself but for the needs of others. Secondly, what comes across through the reading is the belief that good people matter and have a tremendous influence on others. Thirdly, we see that Abraham perseveres in his pleading with the Lord. The point of the passage is not that prayer changes God but rather that prayer gives us a share in His power and definitely, that prayer changes us so that we can accept whatever is God's will for us. Jim Johnson was given the job of saving a failing hotel. Other managers had tried, but unsuccessfully. The hotel was in a now-or-never situation. Jim decided to try something different. Each night he drove to the top of a hill overlooking the hotel and the city. He parked his car and sat there for the next 20 minutes praying. Jim prayed for the hotel guests, relaxing behind the lighted windows. He prayed for the hotel employees and for their families. He prayed for the people, who did business with the hotel. Finally, he prayed for the city and its people. Night after night, Jim drove to the top of the hill, parked his car and prayed the same prayer. Soon the situation at the hotel started to improve. A new confidence radiated from its employees. A new warmth welcomed and greeted each new guest. A new spirit permeated its operation. The hotel experienced a remarkable rebirth thanks to the nightly prayer of Jim Johnson. The Gospel of today has three sections, all dealing with prayer. While the first part deals with the prayer 'The Our Father', the other two sections illustrate the attitude and dispositions for prayer. The model prayer of Jesus starts with calling God 'Father', which was something unique that Jesus could say and which we have the privilege to say in and through Jesus. Our prayer becomes like Jesus' when we can call God our 'Abba', 'Papa', 'Dada', 'Pai', the term of endearment that we use at home. Next, the model prayer reminds us of what should be our priorities. Too often our prayer is individualistic, focused on 'I', 'myself'. 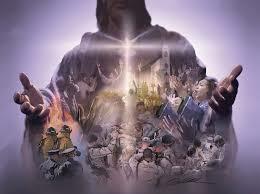 In stead the 'Our Father' starts with focusing on God: "Holy be Your Name, Your Kingdom come!" The perfect form of prayer is praise, and working for the His Kingdom every day. In the second part Jesus turns to asking for human needs and here too the sequence is noteworthy. It starts with, "Give us this day our daily bread." We ask not only for ourselves but for others as well. For the Israelites, the bread given by Yahweh was never eaten alone but always in community, food was for sharing. We ask for 'daily bread' not all the quota for a life time! Our asking every day keeps us humble enough to realize we cannot manage by ourselves and we need God every day of our life. The daily bread implied not only the physical food we need but also the spiritual nourishment provided by prayer. The last part of the 'Our Father' reminds us that just as we need physical and spiritual nourishment we also need God's mercy and forgiveness, because, in spite of our best intentions and promises, we falter often in life. 'Forgive us our trespasses as we forgive those who trespass against us', reminds us that we show our own acceptance of God's forgiveness when we forgive others. The final petition, 'Do not bring us to the test but deliver us from all evil', does not imply that God tempts us rather we are asking not to be tested beyond our limit. Saints are not those who are never tempted but who in spite of temptations found their strength in God. I was waiting for you to call on me! The boy walked along the ocean shore trying not to stray. He looked up to his father saying, "Dad, I want to play." His father looked upon him, with love showing in his eyes. "Do what you want to, my son but do not leave my side." "I would never leave you Daddy, I love you way too much." But the boy took a step away, out of his father's range of touch. He walked through the surf, the waves tickling one toe. "If I take one more step in" he thought, "Father will never know." His father called out to him, "Son, remain close to me!" The boy thought "At the moment I don't need you!" His father felt sadness, but he held his tongue. The boy stepped out a little further . . . the water covering his waist. His father spoke with urgency "My son, come back to me," he said, "The day is almost done!" "Not yet, Dad," the boy yelled, "I'm having fun!" The boy did not have his father's insight so he could not yet tell, the tide was coming in so fast there would be no time to yell. "Father!" he tried to scream, as the water covered his head. "I need you now, Daddy!" was what the boy had said. And in a single instant his father was by his side. "I thought you left me, Daddy, I thought you went to hide." The father looked upon his son . . . a tear streaming down his cheek. The boy looked upon his father and cried the sobs of the meek. "I would never leave you son, for I love you just the same." "I was only waiting for you to call upon my name." Some years ago a young man in his early thirties found himself bargaining with God. He was a fairly well to do banker whose values were admittedly centered in the goods of this world. He had two children and a wife and he felt that life was good and that all things were going as he had always hoped they might. Then everything changed in a split second when a large truck ran a stop sign and hit his car broadside. He was grateful that he had been alone in his car, but on the way to the hospital in a speeding ambulance he knew his life was ebbing away. "I made a bargain with God," he said, "I promised that if I was allowed to survive this accident so that I could be there to raise my son and daughter, I would faithfully serve God in the church for the rest of my life." To this point, he had not been a churchgoing person. I met Douglas years after the accident and it was during a church retreat that he told me about his bargain with God. "I kept my end of the bargain just as God did," he said. And it was clear that Douglas had made a complete turn around in his life and values after his promise to God. -Was God swayed by Douglas' offer to turn his life around? Did God change the outcome of this young man's life because of his bargaining? Though we may not understand fully how our pleading with God in difficult times works in detail, we can always trust that the steadfast love of the Lord is from everlasting to everlasting. Warren Wiersbe tells of the time when he was helping to paint the outside of his neighbors' home. His neighbors had a small black dog that had a ritual of going to the back door of the house to bark and bark until someone finally got the message and let him out. One day, Wiersbe was painting the outside of the house when no one was home. The neighbor's little dog, who was inside the house, took up his station at the back door and barked and barked all day long. The sad thing, Wiersbe said, was that it never dawned in his little brain that all his barking was totally useless -no one was home to hear!! Perhaps many of you feel like that dog. You have prayed and prayed for something and there seems to be no answer-there seems to be no one at home! And maybe you have this nagging wonder why your prayers are going unanswered! 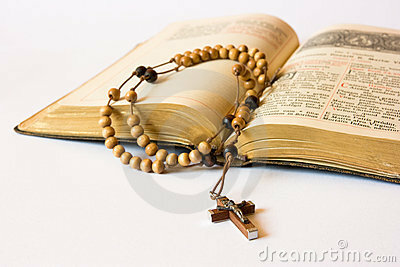 -Prayer is one of the most misunderstood and misused practices of our faith. And like the black dog mentioned earlier, until we understand the nature of prayer and how God answers prayer, all of our barking and praying for an answer will leave us frustrated. The truth is, our wondering about unanswered prayer is often about a misunderstanding of what prayer is. There is an old story of a monk who was bothered by mice playing around him when he prayed. To stop it, he got a cat and kept it in his prayer room so the mice would be scared away. But he never explained to his disciples why he had the cat. So, one day, the monk walked down the corridors of the monastery and noticed that each of his disciples had a cat in their prayer room. After seeing the monk with a cat, they thought having a cat was the secret to powerful praying. I believe this is a parable for many Christians today. Many believe they have to do something special in order for God to hear them and have their prayers answered. So, you will often see folks running here and there to learn the latest prayer gimmick from self-proclaimed spiritual gurus. A little shepherd boy was watching his sheep one Sunday morning, when he heard the Church bells ringing and people walking along the lane next to the pasture going to Church. He began to think that he too would like to communicate with God. "But what can I say?" he thought. He had never learned a prayer. So, on bended knees, he began to recite the alphabets-a, b, c, d, and so on to z, repeating his 'prayer' several times. A man passing by heard the boy's voice, and stopping to look through the bushes, saw the child kneeling with folded hands and closed eyes saying, a, b, c, ...k, l, m, " He interrupted the boy, asking, "What are you doing, my little friend?" The boy replied, "I was praying sir," Surprised, the man said, "But why are you reciting the alphabet?" The boy explained, "I don't know any prayer sir. But I want God to take care of me and help me to take care of my sheep. So I thought if I said, all I knew, He could put the letters together and spell all that I wanted to say and should say." The man smiled and said, "Bless your heart. You are right, God will!" then he went to church knowing he had already heard the finest sermon he could possibly hear that day. God always wants to communicate with us. May we in our own way commune with him. There are several insights about prayer in the first reading where Abraham intercedes with God for Sodom and Gomorrah. Firstly, Abraham pleads not for himself but for the needs of others. Secondly, what comes across is the belief that good people matter and have a tremendous influence on others. Thirdly, we see in Abraham a man who does not give up, he perseveres in his pleading with the Lord. It would appear at first glance that Abraham is bargaining with the Lord. But he is not asking something for himself nor is he offering to do something in return. The point of the passage is not that prayer changes God but that it changes us so that we can accept whatever is God’s will for us. Jim was given the job of saving a failing hotel. Other managers had tried, but failed. Jim decided to try something different. Each night he drove to the top of a hill overlooking the hotel, parked his car and sat there for 20 minutes praying. Jim prayed for the hotel guests and the hotel employees. He prayed for the people, who did business with the hotel. Finally, he prayed for the city and its people. Night after night, Jim drove to the top of the hill he parked his car and prayed the same prayer. Soon the situation at the hotel started to improve. Confidence radiated from its employees and new warmth welcomed and greeted each guest. A new spirit permeated its operation. The hotel experienced a remarkable rebirth. I credit the hotel's re-birth to the nightly prayer of Jim Johnson. The Gospel of today has three sections, all dealing with prayer. While the first part deals with the prayer that Jesus taught his disciples, ‘The Our Father’, the other two sections go on to illustrate the attitude and dispositions for prayer. 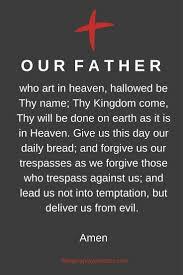 The ‘Our Father’ is considered the perfect prayer and despite its brevity has been called by Tertullian, a ‘summary of the whole Gospel.’ In it we are shown not only the things we can rightly desire and pray for but also the sequence in which they should be desired. It is the model of all prayer. The prayer of Jesus starts with calling God ‘Father’, which was something unique that Jesus could say and which we have the privilege to say in and through Jesus. Our prayer becomes like Jesus’ when we can with faith call God our Father, our ‘Abba’, ‘Papa’, ‘Dada’, the term of endearment that we use at home. Next, the model prayer reminds us of what should be our priorities. The perfect form of prayer is praise, acknowledging God and working for the spreading of His Kingdom. It is only in the second part that the model prayer of Jesus turns to asking for human needs. The daily bread implied not only the physical food we need but also the nourishment provided by prayer, the Word of God and the Eucharist. The last part of the ‘Our Father’ reminds us that just as we need physical and spiritual nourishment we also need God’s mercy and forgiveness, because, in spite of our best intentions and promises, we falter and fail often in life. The boy walked along the ocean shore... trying not to stray. He looked up to his father saying, "Dad, I want to play." His father looked at him and said "Do what you want to, my son... but do not leave my side." But the boy took a step away, out of his father's range of touch. He walked through the surf, the waves tickling one toe. "If I take one more step in..." he thought, "Father will never know." His father called out to him, "Son, remain close to me!" The boy thought... "At the moment I don't need you!" His father felt a sadness, but he held his tongue. The boy stepped out a little further... the water covering his waist. His father spoke with urgency... "My son, come back to me," he said, "The day is almost done!" "Not yet, Dad," the boy yelled, "I'm having fun!" The boy did not have his father's insight... so he could not yet tell, the tide was coming in fast... there would be no time to yell. "Father!" he tried to scream, as the water covered his head. "I need you now, Daddy!" was what the boy had said. And in a single instant his father was by his side. "I thought you left me, Daddy... I thought you went to hide." The father looked upon his son... a tear streaming down his cheek. The boy looked upon his father... and cried the sobs of the meek. "I would never leave you son... for I love you just the same." "I was only waiting... for you to call upon my name." Some years ago a young man in his early thirties found himself bargaining with God. He was a fairly well to do banker whose values were centered in the goods of this world. He had two children and a wife and he felt that life was good and that all things were going as he had always hoped they might. Then everything changed in a split second when a large truck ran a stop sign and hit his car broadside. He was grateful that he had been alone in his car, but on the way to the hospital in a speeding ambulance he knew his life was ebbing away. "I made a bargain with God," he said, "I promised that if I was allowed to survive this accident so that I could be there to raise my son and daughter, I would faithfully serve God in the church for the rest of my life." To this point, he had not been a churchgoing person. I met Douglas years after the accident and it was during a church retreat that he told me about his bargain with God. "I kept my end of the bargain just as God did," he said. And it was clear that Douglas had made a complete turn around in his life and values after his promise to God. -Was God swayed by Douglas' offer to turn his life around? Though we may not understand fully how our pleading with God in difficult times works, we can always trust that the steadfast love of the Lord is everlasting. Warren Wiersbe tells of the time when he was helping to paint the outside of his neighbour’s home. His neighbours had a small black dog that had a ritual of going to the back door of the house to bark and bark until someone finally got the message and let him out. One day, Wiersbe was painting the outside of the house when no one was home. The neighbor's little dog, who was inside the house, took up his station at the back door and barked and barked all day long. The sad thing, Wiersbe said, was that it never dawned that all his barking was totally useless -no one was at home to hear!! Perhaps many of you feel like that dog. You have prayed and prayed for something and there seems to be no answer-there seems to be no one at home! And maybe you have this nagging wonder why your prayers are going unanswered! 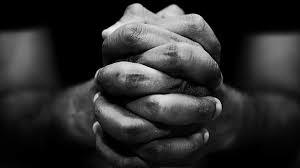 -Prayer is one of the most misunderstood and misused practices of our faith. And like the black dog mentioned earlier, until we understand the nature of prayer and how God answers prayers, all our barking and praying for an answer will leave us frustrated. The truth is, our wondering about unanswered prayer is often about a misunderstanding of what prayer is. There is an old story of a monk who was bothered by mice playing around him when he prayed. To stop it, he got a cat and kept it in his prayer room so the mice would be scared away. But he never explained to his disciples why he had the cat. So, one day, the monk walked down the corridors of the monastery and noticed that each of his disciples had a cat in their prayer room. After seeing the monk with a cat, they thought having a cat was the secret to powerful praying. I believe this is a parable for many Christians today. Many believe they have to do something special in order for God to hear them and have their prayers answered. So, you will often see folks running here and there to learn the latest prayer gimmick from self-proclaimed spiritual gurus. Once upon a time there was a daddy who had made a lot of money in the stock market (he had also made a lot of money in the commodity markets too). For every dollar he had invested in 1994, he now had ten dollars. Starting with a rather modest amount of money, he had become a millionaire. However, he as not the kind of person who could make his investments and stick with them because he knew that in the long run they would continue to grow. Quite the contrary, he was a real investor, that is to say, he bought and sold stocks almost every day to make money even more rapidly than did the ordinary investor who left it to his brokers and advisers to watch the daily opportunities. Our hero earned his living – and it was a good one – in other areas. However, he became obsessed with the daily fluctuations in the market. He exulted when his holdings went up, and grew depressed when they went down. He called up the DJA on his computer several times every day and then explored his portfolio in detail. WELL, he went on vacation with his family and of course brought his laptop along. It happened to be one of those times when the DJA rose and fell like the tides. So he spent most of his daylight hours on his laptop. 2. How do we pray? Some years ago, when Leonard Griffith was pastor of the famous City Temple in London, he wrote a fascinating book entitled Barriers to Christian Belief. In that book he dealt with some problems that have over the years been real obstacles and stumbling blocks for people in their faith pilgrimage specific problems that hinder people, that burden people, that disturb people and keep them away from the Christian faith. One of the barriers he listed was "unanswered prayer." It does seem to be a fact of our experience that many people do get discouraged and they do give up and drop out on the faith because they feel a sense of failure in their prayer life. This leads us to ask then, "How do you pray?" "Why pray at all?" "When do you pray?" "Is there a special formula or a sacred language that should be used?" One thing is clear. There are many questions and there is much misunderstanding about how you pray and why. In a Peanuts cartoon Charlie Brown is kneeling beside his bed for prayer. Suddenly he stops and says to Lucy, "I think I've made a new theological discovery, a real breakthrough. If you hold your hands upside down, you get the opposite of what you pray for." Prayer must be more than an emergency magical lamp rubbed in a crisis. The truth is that many people give up on prayer because they never understand what prayer is. Much that passes for prayer is irrational, superstitious, and self-centered, and is therefore unworthy of the pattern of the prayer that Jesus offered to us his disciples. How do you pray and why? We are not the first to ask. The disciples of Jesus came to Him one day and said, "Lord, teach us. 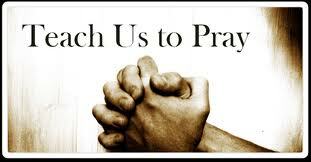 Teach us to pray!" Notice something here. When did the disciples ask for this? When did they make this request? Was it after Jesus gave a lecture on prayer? No! Was it after Jesus led a seminar on prayer? No! Was it after Jesus preached a powerful sermon on prayer? No! None of these. Remember how it is recorded in Luke 11â€¦ "Jesus was praying in a certain place and when he finished, they said to him, “Lord, teach us to pray.'" They saw the power of prayer in Him. They saw how important prayer was to Him. See the point. Harry Emerson Fosdick stresses it in his book, The Secret of Victorious Living. "Note that this awakened interest in prayer came not at all from new arguments about it, but from a new exhibition of its power. Here, before their very eyes, they saw a personality in whom prayer was vital and influential! The more they lived with him, the more they saw that they could never explain him or understand him unless they understood his praying and so not at all because of new arguments, but because of amazing spiritual power released in him by prayer. They wanted him to tell them how to pray." The disciples sometimes were slow on the uptake, but at this point they were quickly and precisely on target. They saw in Jesus the answer to this question: how do we pray and why do we pray? And they learned from Him (as we can) what the elements are that lead to a meaningful prayer life. What you do is your history. What you set in motion is your legacy." Are you just pouring concrete or building a skyscraper? Every one of us wants to leave a "legacy." Something that outlasts our biological lives and can somehow continue to declare "I was here." For a very few this is achieved through intellect or infamy, greatness or great sacrifice. But for those of us who know we are not Augustine or Martin Luther, or Christopher Columbus or George Washington or Albert Einstein or Martin Luther King, Jr. - we still have a gateway to a large-than-life memory. What is it? Our family. Our siblings. Our spouses. Our children. Our great-grandchildren. Our "story," our life goes on, because we are remembered and recounted in the memories, in the roots, branches and leaves, of our family tree. In this week's gospel text we are taught the "Lord's Prayer," or more precisely, the "Disciples' Prayer." This prayer is the distinguishing, identifying marker for those who follow Jesus. It is the disciple's singular prayer, given direct to us from Jesus. Although Jesus spent a great deal of his life praying, we only have two prayers from him. This is one of them. We now have over two thousand years of remarkable prayers offered by remarkable followers of Jesus, but every one of them only shines a new light on the clarity of this first vision. or if you've watched early classic Disney cartoons, one thing becomes unsettlingly clear: a lot of "poor little" princes and princesses shared a common family tragedy. In an overwhelming number of these stories the mothers were gone, dying long before the child in question could be influenced by them or even remember them. The single dads in these tales almost always had dreadful taste in women the second time around â€” bringing a whole host of evil stepmothers onto the fairy tale scene. Sadly, until later in the twentieth century, the chances of children losing their mothers and being raised by stepmothers was common. The overwhelming threat to a woman's life was childbirth, especially if any sort of infection set in after delivery. For example, John Milton's first 2 wives, Mary Powell and Katherine Woodcock, both died in childbirth. Among upper middle class in 17th century London, one mother died for every 40 births. By the early decades of the 20th century, things hadn't changed much. In 1929, the wife of the Prime Minister of England, Lucy Baldwin, pointed out that pregnant women were as likely to die as soldiers had been in the trenches in the 1914-1918 war. When a woman gave birth, she said, it was just like "going into battle â€“ she never knows . . . whether she will come out of it alive or not." (As quoted in A. Susan Williams, Ladies of Influence: Women of the Elite in Interwar Britain [Allen Lane The Penguin Press, 2001]). The single father raising motherless children was an all-to-common occurrence. Single parent households are even more prevalent today, but for different reasons. Most single parents raising children on their own today are women. Medical advances have made childbirth safer, and have raised women's life expectancy above that of men. But good hygiene and antibiotics haven't helped keep families together. In any given American classroom a conservative estimate finds at least one-third of those kids living in a home without a father. Whether by death or divorce, choice or chance, more and more children are growing up in a home that has no consistently present father figure. Along with the abuse of sheer absence, which is bad enough, there is the worse abuse of presence. Although child abuse is not confined to one gender, an abusive father figure has a huge affect on children. And a father who is "occasional" as well as "abusive" magnifies all the negatives of his influence. Why is the lack of positive father figures such a critical issue for the Church? 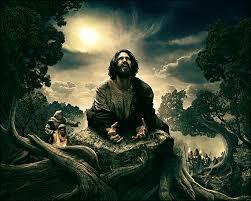 Jesus prayed: forgive us our trespasses as we forgive those who trespass against us. In the novel "The Great Hunger," a newcomer comes to a farm community. He refuses all friendship with his neighbors and puts out the no trespassing sign. One day a little child from the town climbs underneath his fence to pet his dog. The vicious animal leaps on her and kills her. Hostility spreads throughout the community. When the newcomer comes to town no one will speak to him. Clerks refuse to wait on him. Spring comes and the merchants refuse to sell him seed. Finally, the father of the girl who was killed comes over and sows his field. This act of kindness is too much for the insufferable newcomer. "Why-you of all people?" he asks. The father responds: To keep God alive in my heart. The experience of forgiveness is basic to our spiritual health. It is the way that we keep God alive in our hearts. But there is more. The petition says: Forgive us as we forgive others. In other words, we are asking God to forgive in proportion to our forgiving. We become our own judge and jury. How do we forgive the unforgivable? By remembering that God forgives us for our sins against him. A mother sent her fifth grade boy up to bed. In a few minutes she went to make sure that he was getting in bed. When she stuck her head into his room, she saw that he was kneeling beside his bed in prayer. Pausing to listen to his prayers, she heard her son praying over and over again. "Let it be Tokyo! Please dear God, let it be Tokyo!" When he finished his prayers, she asked him, "What did you mean, 'Let it be Tokyo'?" "Oh," the boy said with embarrassment, "we had our geography exam today and I was praying that God would make Tokyo the capital of France." Prayer is not a magical means by which we get God to do what we want. Prayer is an inner openness to God which allows his divine power to be released in us. Ultimately, the power of prayer is not that we succeed in changing God, but that God succeeds in changing us. God is not passive, and neither are we. In fact, Jesus calls us to an active life. We tend to think of prayer as a passive affair, which in many ways it is. After all, prayer is listening before it is speaking. However, it is active listening. You know the difference between passive and active listening? Passive listening is the husband who has one ear to the television when his wife speaks. Passive listening is the wife who has her "to do" list between her and her spouse. Passive listening is the young person who hears everything through ears that are "bored" with anything and everything that isn't more exciting than what is possible. Active listening, on the other hand, is giving 100% attention, and facing toward the One who speaks, putting aside remote-controls, "to do" lists, and boredom. Active listening is anything but passive. It's really hard work, when you think about it. It's not "zoning out." Far from it. Prayer is, in part, active listening. How do you receive daily bread from God, if you're not faced in his direction, attentively reaching out? How does forgiveness become a reality if we don't step into it - and how are we to step into it if we're not walking in the direction of, toward the One from whom forgiveness flows? The Lord's prayer, whether it be the version Matthew remembers, or the one Luke recalls, encourages active movement toward God on our part. Father Barry Foster, a priest in Dublin, Ireland, parked his car on a rather steep slope close to his church. His little cairn terrier was lying on the rear seat and could not be seen by anyone outside the vehicle. Father Foster got out of the car and turned to lock the door with his usual parting command to the dog. "Stay!" he ordered loudly, to an apparently empty car. "Stay!" An elderly man was watching the performance with amused interest. Grinning, he suggested, "Why don't you just try putting on the emergency brake?" Our subject today is prayer. To the mind of the unbeliever, watching someone pray is the equal of watching someone say "Stay," to their automobile fully expecting it to obey. To the unbeliever prayer is an exercise in futility. But to the believer, prayer is the most powerful and the most reliable force in the world today. Through prayer we can carry in our heart all human pain and sorrow, all conflicts and agonies, all torture and war, all hunger, loneliness and misery, not because of some great psychological or emotional capacity, but because God's heart has become one with ours. Ever wonder about the acronym ASAP? Generally we think of it in terms of even more hurry and stress in our lives: "As soon as possible." Maybe if we think of this abbreviation in a different manner, we'll begin to find a new way to deal with those rough days along the way. There's work to do, deadlines to meet, you've got no time to spare, But as you hurry and scurry, ASAP: Always Say a Prayer. In the midst of family chaos, quality time is rare. Do your best; let God do the rest, ASAP: Always Say a Prayer. It may seem like your worries are more than you can bear. Slow down and take a breather, ASAP: Always Say a Prayer. God knows how stressful life is; he wants to ease our cares, And he'll respond to all your needs, ASAP: Always Say a Prayer. 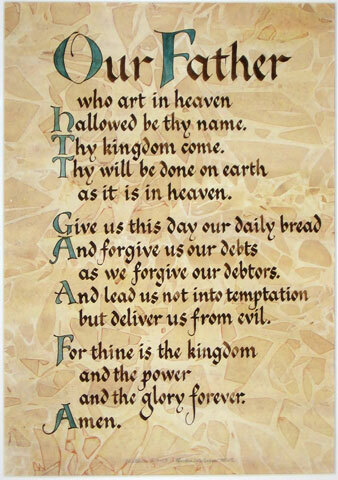 The Lord's Prayer is the most perfect of prayers... In it we ask, not only for all the things we can rightly desire, but also in the sequence that they should be desired. This prayer not only teaches us to ask for things, but also in what order we should desire them. We cannot come to God in honest prayer when we have not forgiven one another transgressions: A young boy saw a pack of cigarettes on the ground and decided to try them. He went to a field near his home and, after several fumbling attempts, got one to light up. It didn't taste good; indeed, it burned his throat and made him cough. But it made him feel very grown up. Then he saw his father coming. Quickly he put the cigarette behind his back and tried to be casual. Desperate to divert his father's attention. The young Boy pointed to a nearby billboard advertising the circus. "Can we go, Dad? Please, let's go when it comes to town." The father quietly but firmly replied, "Son, never make a petition while at the same time trying to hide a smoldering disobedience." On a subway platform in one of our Eastern states there was a large printed sign that said "God Answers Prayer." Some experienced person had scrawled across the bottom underneath the printed letters these words: "Sometimes the answer is NO!" This is what we have to deal with in any discussion of prayer. Someone says, "I felt the need of God. I prayed for something to happen, and it didn't. Prayer failed." No, Sir. I suggest that you did not want God - you wanted God to do something, and that's different. A prayer-master advised his listeners to adopt the APU program when they pray. When predictably they asked what the acronym meant, he said with a smile, "Be aggressive. Be persistent. Be unreasonable." His disciples balked at such an approach to the Almighty. But the guru directed their attention to Genesis 18. There Abraham is in conversation (or is it prayer?) with God. Abraham the text shows is aggressive, persistent, and unreasonable. On the evidence, God should have destroyed the immoral and infamous cities of Sodom and Gomorrah. They deserved whatever they got and then some. But Abraham proves to be an able negotiator. By clever maneuvering over some time, He causes God to back down on His original plan. Perhaps even at surprise to Himself, Yahweh allows Abraham to win the day. The cities are spared. Chalk a big victory up for Father Abraham. More importantly, do take a page out of his how-to-pray manual. If Abraham could get the gold ring in his prayer, why cannot you and I? Abraham has convincingly shown us that God is a soft touch. And His own Son happily confirms that point in today's Gospel. Also we have a big edge over Abraham. Jesus instructs us today to address God as "Father." That translates as you know into "Daddy" or "Pop." If we think the APU plan is off the wall, Abraham would think calling Jehovah "Daddy" or, worse, "Pop" completely ludicrous. As proof, note that in Genesis 18 Father Abraham addressed God most solemnly as "Lord" four times in the framework of a few seconds. Imagine what Abraham might have accomplished with his APU approach if he felt able to call his exalted Lord "Daddy!" Unfortunately for him, as he would be the first to tell us, he was born centuries too soon. So, in our prayer we must employ not merely a strong second effort but rather Abraham's third and even fourth effort. Abraham was a moose and obviously he was not designed to take "no" for an answer. Had God asked him what part of "no" he had difficulty in understanding, he would answer immediately "the whole word, Lord." If he could respond that way to God, then why not we? So, don't be afraid to nag. After all, as someone has noted, God does have millions of people calling Him. There are times He must put you on hold. But, when He does come back to you and says, "Thank you for holding," you are in the driver's seat. At that point, Father Abraham would quickly advise you, "Go for the gold." I was traveling through the majestic state of Arizona. I made a visit to an attractive chapel in a small town. I found the following in a pew. It ties in nicely with today's Gospel. "I cannot say `our' if I live only for myself. I cannot say `Father' if I do not approach God like a child. I cannot say `who art in heaven' if I am not laying up some treasure there right now. I cannot say `Hallowed be thy name' if I am careless with that name. I cannot say `Thy kingdom come' if I am not working to actualize it in the here and now. I cannot say `Thy will be done' if I am resentful of that will for me at this moment. I cannot say `on earth as it is in heaven' if I don't look on heaven as my future home. I cannot say `Give us our daily bread' if I am overanxious about tomorrow. I cannot say `Forgive us our trespasses as we forgive those who trespass against us' if I am waiting to settle a score with someone. I cannot say `Lead us not into temptation' if I deliberately put myself in a place to be tempted. (A sage teaches it is a smart person who flees temptation and does not leave a forwarding address.) I cannot say `Deliver us from evil' if I am not prepared to pray as though everything depends on God and work as though as everything depends on me." Dag Hammerskjold wrote, "Hallowed be thy name, not mine. Thy Kingdom come, not mine. Thy will be done, not mine." 1. "Why don't you just try putting on the emergency brake?" Father Barry Foster, a priest in Dublin, Ireland, parked his car on a rather steep slope close to his church. His little dog was lying on the rear seat and could not be seen by anyone outside the vehicle. Father Foster got out of the car and turned to lock the door with his usual parting command to the dog. "Stay!" he ordered loudly, to an apparently empty car. "Stay!" An elderly man was watching the performance with amused interest. Grinning, he suggested, "Why don't you just try putting on the emergency brake?" [Colin Jeffery, Catholic Digest (May 1992), p. 72.] The theme of today’s gospel is prayer and model prayer. To the unbeliever prayer is an exercise in futility like ordering an automobile, "Stay," fully expecting it to obey. But to the believer, prayer is the most powerful and the most reliable force in the world today because through prayer, we communicate with God. Years ago in Illinois, a young man with six months schooling to his credit ran for an office in the legislature when he was 23 and was beaten. Next he entered business with a partner but failed in that too, and spent the next seventeen years paying the debts of his worthless partner. He fell in love with a charming lady and they became engaged, but she died. The next year he had a nervous breakdown. Relying on the power of prayer, he ran for the post of Speaker (at 29), of Elector (at 31) and for a seat in Congress (at 34). He was defeated each time. He then tried to obtain an appointment to the U.S. Land Office, but didn’t succeed. He became a candidate for the Vice-Presidency and lost. Two years later he was defeated in an election to the Senate (at 46). He ran for office once more and was elected the sixteenth President of the United States in 1860 when he was 51. That man was Abraham Lincoln who put his trust in the power of persistent prayer coupled with never-fading faith in God’s goodness. It took Winston Churchill three years to get through the eighth grade, because he couldn’t pass English! Ironically, he was asked many years later to give the commencement address at Oxford University. His famous speech consisted of only three words: “Never give up!" In today’s gospel after teaching the Lord’s Prayer, Jesus instructs us that we should never give up in our prayer life.